Sage in Bloom is like perfume, Deep in the Heart of Texas. 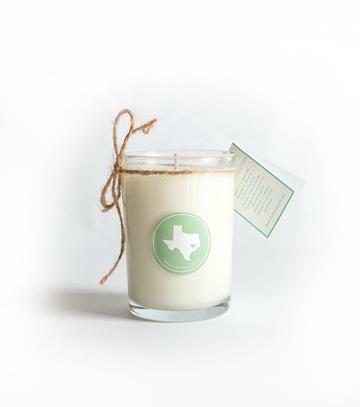 From the song we love to the meaning behind the brand, this candle launched our mission. The scent of sage symbolizes protection of a home, which many Texans need most following a flood. Handmade with love in Houston by co-founder Cameron.